• Conduct neighborhood planning within a regional context. • Preserve our most important historic resources while allowing for growth and change. • Create new buildings that exemplify the highest quality architecture. • Make public spaces that people love to spend time in. Highway 280 and the Caltrain railyards create barriers between SoMa, Potrero Hill and Mission Bay. But San Francisco has the opportunity to advance bold new ideas to enhance both the transportation system and the public realm. The movement of jobs to suburban office parks is as much of a threat to the environment as residential sprawl — if not a greater one. Our best strategy is to channel more job growth to existing centers, like transit-rich downtown San Francisco. Downtown San Jose is the most walkable, transit-oriented place in the South Bay. But it needs more people. SPUR identifies six big ideas for achieving a more successful and active downtown. Downtown Oakland is poised to take on a more important role in the region. But the future is not guaranteed. An economic boom could stall — or take off in a way that harms the city’s character, culture and diversity. How can downtown grow while providing benefits to all? 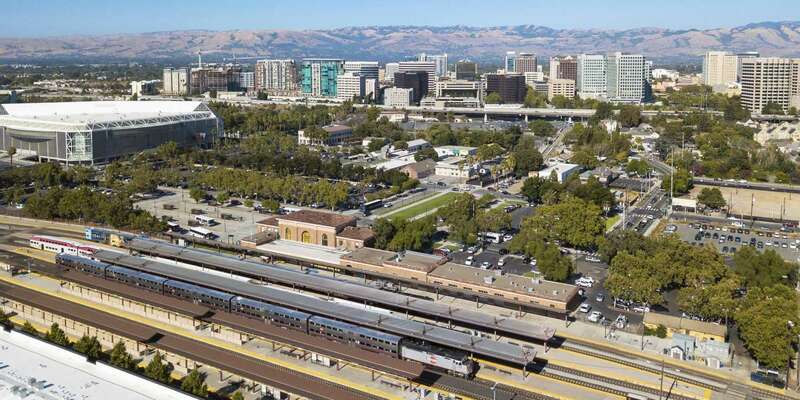 As BART arrives in Silicon Valley, San Jose has a unique chance to shape growth around its first station. Land uses that support BART ridership will be key to the success of Berryessa Station — and the future of the area around it. San Jose's ambitious General Plan imagines a dramatic shift away from suburban landscapes to “complete neighborhoods” that provide services and amenities close to homes, jobs and transit. SPUR recommends changes in policy and practice to get there. Like older downtown parks throughout the country, San Jose’s St. James Park has suffered from disinvestment in recent years. SPUR recommends steps to create a renewed vision for the park through improved stewardship and governance. 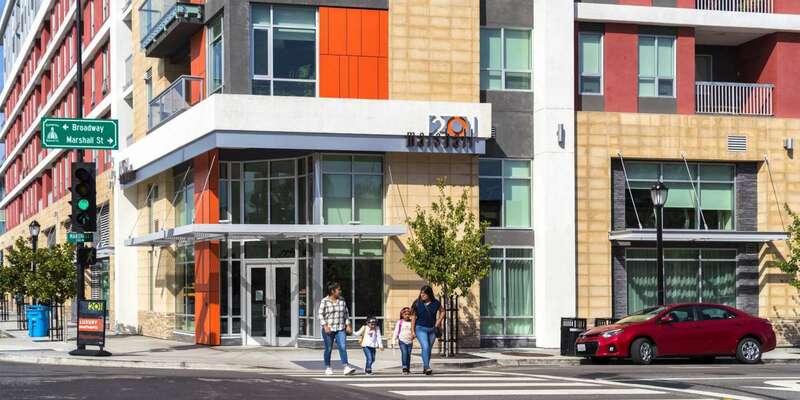 Dozens of office buildings in San Francisco include privately owned public open spaces or “POPOS.” SPUR evaluates these spaces and lays out recommendations to improve existing POPOS and guide the development of new ones. The Piero N. Patri Fellowship in Urban Design offers firsthand experience working in the urban design and planning field on a project that will have a positive impact on San Francisco and the Bay Area. San Francisco's distinctive architecture is one of its great assets. It’s critical to protect this historic fabric while supporting growth and change in the right locations. How can the city integrate preservation into its processes for land use planning? SPUR'S Project Review Advisory Board looks at Bay Area development proposals of citywide or regional importance, evaluating their potential to enhance the vitality of their city and region according to SPUR’s policy priorities and principles of good placemaking. Great urban design is essential to creating sustainable, walkable cities. But some city codes undermine urban design principles. How might San Jose raise the bar? By addressing the ground rules of design within the municipal code. SPUR recommends acceptance of Scenario 4, which would use the Federal Aviation Administration's own safety standards to determine maximum building height limits in the Downtown Core and Diridon Station Area. Now is the time to prepare a bold vision for the future that enables Oakland to grow into its role as a major regional center with significantly more employment, residents and visitors than today. This plan should be about how to shape that future in a way that achieves a downtown with significant benefits for everyone. What Will Diridon Station’s Legacy Be? Last month, SPUR convened national and international experts in San Jose to share best practices for planning and building world-class transit stations and active neighborhoods around stations. City officials, transit agencies and civic groups came together to develop the vision for the future Diridon Station and to consider the legacy that today's decisions will create for the project. We are pleased that such a robust discussion regarding the role and use of public lands is underway. Like many other groups, we believe that public land should contribute to the public good – by supporting long term housing affordability, mixed income communities, economic development opportunities for all Oaklanders and the fiscal health of the city as a whole. Get the latest updates on Community Planning projects and events.